New Jersey's governor is known for speaking his mind when something displeases him. A reporter was reminded of that candor Saturday when Gov. Chris Christie snapped at him during a press conference, calling him an "idiot" and suggesting he was "stupid" because he asked a question unrelated to the briefing topic. Reporters were told in advance that the governor was only taking questions about a water emergency caused by collapsed mains in Monmouth County. At the end of the briefing, one reporter tried to ask Christie a question about a special joint legislative session the governor had called for Monday. It wasn't the first time Christie publicly called someone an idiot. At a town hall event in March, he called a former Navy SEAL an idiot during a shouting match over the governor's plan to merge two public universities. 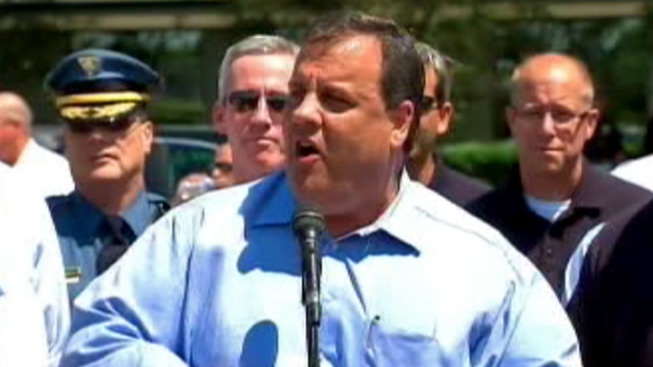 Christie said he had no regrets over the name-calling. At Monday's special session Christie will try to make the case for middle-class tax cuts, according to a letter he sent legislative leaders calling for the session.